Pleasanton, CA — June 6, 2018 — NextHome is proud to announce the franchise has launched eight new franchised locations in the month of May 2018. May started strong as Irwin and Rayette Wilensky opened their new NextHome office – NextHome SunRaye Realty in St. Petersburg, Florida. Selling homes since 1986, Irwin brings over 30 years of real estate knowledge to the NextHome franchise. Selling more than 2,500 transaction sides in the past six years, NextHome SunRaye Realty is poised to grab significant market share locally. Continuing their expansion throughout Kansas, NextHome Unlimited opened their third franchised office – this time in Manhattan, KS. Led by Steven Burch, the brokerage is now in Manhattan, Junction City and Abilene. With an exceptional sales team, NextHome Unlimited has already surpassed 2017’s record breaking year. With more than 20 agents at the brokerage, NextHome Unlimited continues to be a leader in Kansas real estate. Lafayette, Louisiana is home to NextHome Cutting Edge Realty. Business partners Christie House Theaux and Joy Cobert lead this dynamic brokerage. Both licensed since 2011, Christie and Joy are two of the top REALTORS® in the area. They will be bringing their high-volume sales business to NextHome while leading an office of 15 agents. 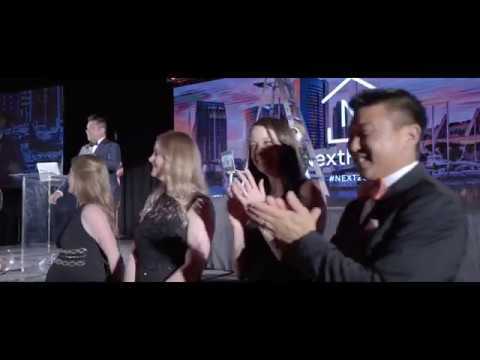 One of the highest producing brokerages in all of Pittsburgh, Pennsylvania joined the NextHome franchise when siblings and business partners Reed Pirain, John Pirain, Dave Pirain and Renee Vasilko opened NextHome PPM Realty. Ranked as the #13 brokerage in all of the Pittsburgh area, the brokerage has sold more than $57 million in sales in 2017 and 282 transaction sides. 2018 is shaping up to be an even better year for the company. Veteran real estate professional Roy Guy brings his housing expertise to NextHome with the launch of his new brokerage, NextHome Neo Real Estate in Hudson, Ohio. As one of the top property managers in his city, Roy will now add real estate sales to his brokerage’s portfolio of services. Finally, we announced NextHome Executive Group in McKinney, Texas as our final May 2018 launch. The husband and wife team of Wayne Warshawsky and Georgia Anderson will lead this eight person office. Often selling more than 100 transactions annually, the brokerage also features a large property management division which is responsible for more than 200 properties. The NextHome franchise is proud to announce 40 new offices opened since the beginning of 2018.